The First Poster & Trailer for Legal Thriller 'PUNCTURE' Starring Chris Evan's! 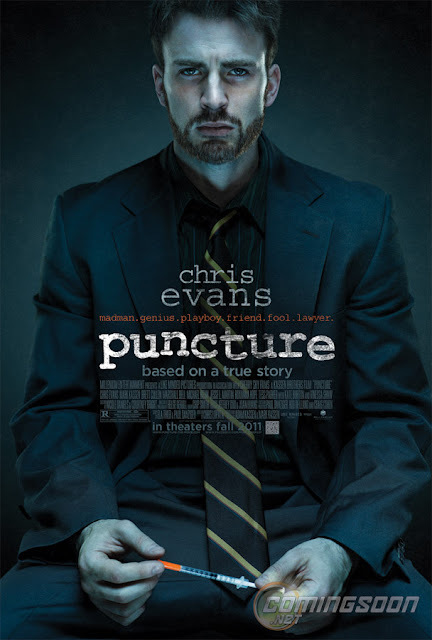 With an oncoming US release date of 23rd September a poster and trailer have been released for Adam & Mark Kassen's Puncture, a "David and Goliath" law drama about a drug-addicted lawyer [Chris Evans] in Houston, battling his own personal demons, who takes on a health supply corporation defending a nurse pricked by a contaminated needle. The film also stars Mark Kassen, Brett Cullen, Marshall Bell, Michael Biehn & Vinessa Shaw. The poster actually arrived yesterday via ComingSoon.net but today we have the teaser. Hit the jump to check them both out. 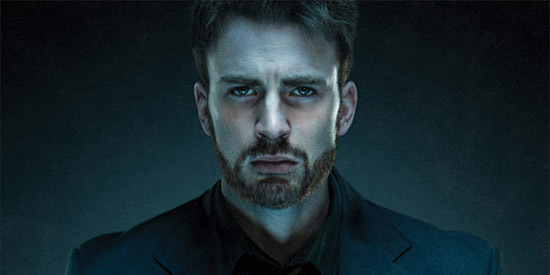 Synopsis: "Mike Weiss (Chris Evans) is a talented young Houston lawyer and a functioning drug addict. Paul Danziger (co-director Mark Kassen), his longtime friend and partner, is the straight-laced and responsible yin to Mike’s yang. Their mom-and-pop personal injury law firm is getting by, but things really get interesting when they decide to take on a case involving Vicky (Vinessa Shaw), a local ER nurse, who is pricked by a contaminated needle on the job. As Weiss and Danziger dig deeper into the case, a health care and pharmaceutical conspiracy teeters on exposure and heavyweight attorneys move in on the defense. Out of their league but invested in their own principles, the mounting pressure of the case pushes the two underdog lawyers and their business to the breaking point." I'm reading: The First Poster & Trailer for Legal Thriller 'PUNCTURE' Starring Chris Evan's!Tweet this!